Aliya Bhatt Red Bollywood Style Lehenga Choli comes with Red Color Raw Silk Blouse, Beige Color Net Dupatta & Satin Inner. It contained the Embroidered work. 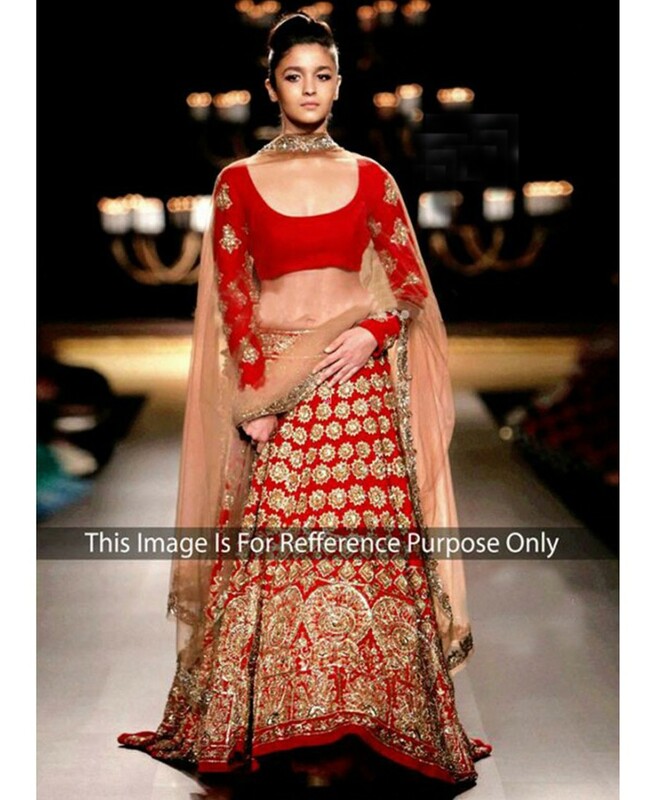 Lehenga length is 44".